Jazz Jukebox are a London based jazz band available for hire for weddings, parties or corporate functions. 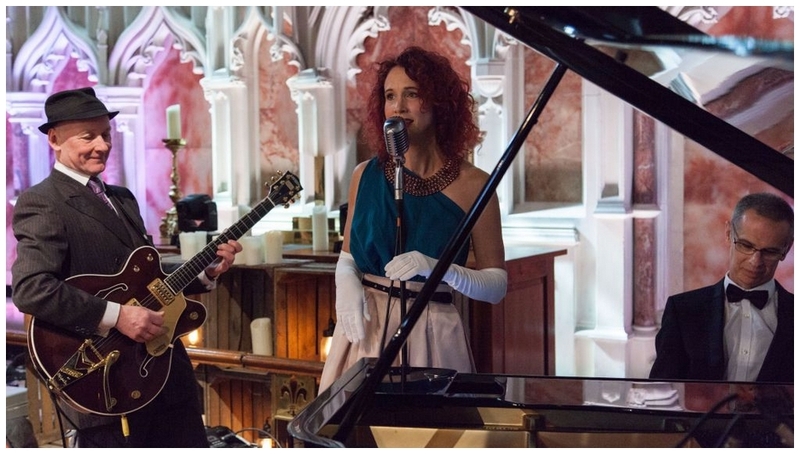 We can vary the size and line-up of the Jazz Jukebox ensemble to suit the occasion and the budget; a duo: piano and guitar, a trio: piano, guitar/male vocal & female vocal, or a bigger band including, double bass, drums and any combination of horns. Jazz Jukebox play cool, melodic dinner jazz and songs from the Great American Songbook. The Great American Songbook comprises standard songs from the 1920s to 1950s. Notable songs are by composers such as George Gershwin, Cole Porter, Richard Rodgers and Irving Berlin.